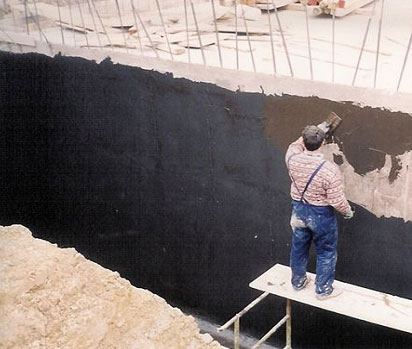 Bituminous, bi-component, flexible sealant that constitutes a safe protection against the humidity of the ground, water infiltration, water under pressure and other factors that may damage masonry. 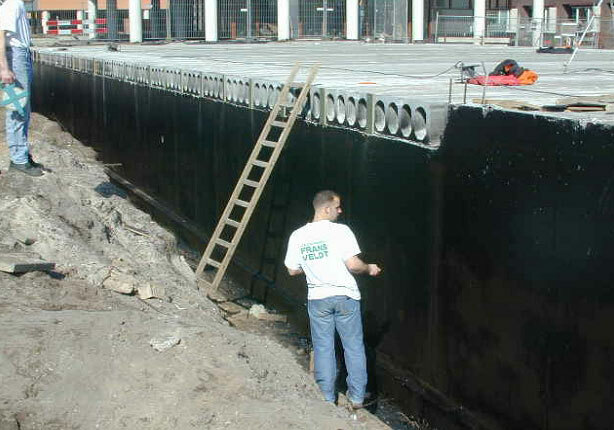 The product is also suitable to provide intermediate water tightness under the pavement. The work starts by pre-treating the sub-layer. Possible dry residues of mortar must be eliminated, as well as chips or topsoil. Possible partition joints must be sealed with a suitable product. of another type. It must be dry or slightly wet (not soaking wet). must be of "striped" type in order to avoid air infiltrations. must be plastered with IPAFLEX BITU 2K. In case of solid masonries with plastered joints, the application of plaster is not required and a stabilizer such as DURIPAL can be used as bottom coat. 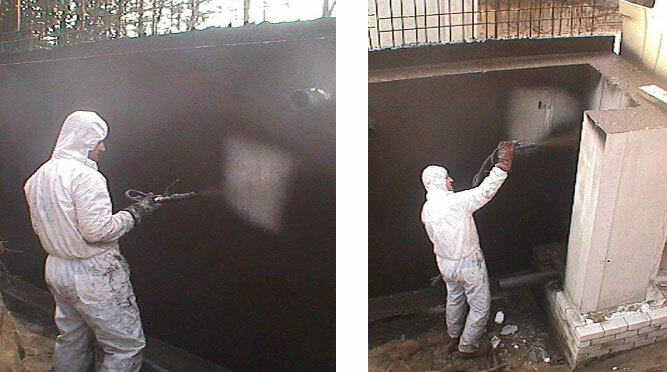 The application of the bottom coat is performed with a broom or scrubbing brush. When the bottom coat is dry, apply the water tight finish. Add the powder component to the fluid component and continue to mix slowly. Continue mixing until you will obtain a homogeneous mix without clots. The most suitable tool for mixing is an electronically adjusted drill working at slow speed, equipped with a special stirrer. rain. Then proceed with the finish, using a trowel to smooth and apply a wet layer of 4 mm thickness. It is suggested to protect the product against frost and rain and preserve it from the possible negative thrust of the water until it is completely dry. It is also possible to insert the fibre glass fabric. Draining panels or insulating panels can be installed and the pit can be filled only when the layer has dried completely. Please comply with DIN 18 195 Standards, part 10, with regards to protection layers.